ManyTutors: Nova Education Centre Reviews. Book Online! Here @NovaEduCen, we challenge the stereotype of the mundane education system and provide tuition services that aim not only to improve students' grades but also to impart study skills that will benefit them immensely. Our innovative teaching methods applied during lesson emphasizes vastly on learning through concepts and analytical thinking. This, together with personal encouragement, gives the students not only textbook knowledge but also ensures that they make significant progress and help achieve future career goals. My three children are all former students under the meticulous and patient guidance of Mr. Partheeban. With his admirable passion to teach and educate, and his constant consideration and attention for my kids’ academic progress, my kids’ grades have all sharply soared from a past average of D to distinctions galore. I can confidently affirm that getting him to be your tutor will definitely be most wise, and hence, do indeed strongly recommend him to teach and assist in your children’s academic progression. Mr. Partheeban is an extremely gifted tutor who made learning very enjoyable for us. His guidance in Mathematics and Science helped us attain excellent grades for those subjects for our ‘O’ Levels. As a patient and caring tutor he made difficult concepts understandable and he also taught us vital skills. Under his tutelage, our grades improved drastically and we gained confidence to excel in our studies. Mr Partheeban was my tutor when I was in Secondary 4. He taught me Physics, Chemistry and both Elementary and Additional Mathematics. He has the ability to cater individually to his students’ strengths and potentials even though there were times when we studied in a group. He is also a very dedicated tutor as he never hesitated to attend to my questions via text and calls even though it was outside tuition hours or sometimes at odd timings. His patience, support and guidance ultimately helped me to attain my targets and goals in the ‘O’ Levels. My name is Timothy Ashley Gomez, a graduate from Fuchun Secondary, from the class of 2010. I was previously a student who was weak in my core subjects such as Mathematics and Science and decided to seek help from Mr. Partheeban at Nova Education Centre. This proved to be an excellent decision. With his close supervision and admirable work ethic, Mr. Partheeban slowly but surely helped me achieve academic excellence. Subjects which were once my weaknesses became my strengths. I am truly grateful for his passion and dedication to his students. Attaining the top student for my ‘N’ Level Examination was far from my expectation, but it was made possible with his constant guidance and intellect. My ‘O’ Level year was a tough journey but with his consistent motivation and help, I was able to secure a course in a polytechnic which was of my choice. 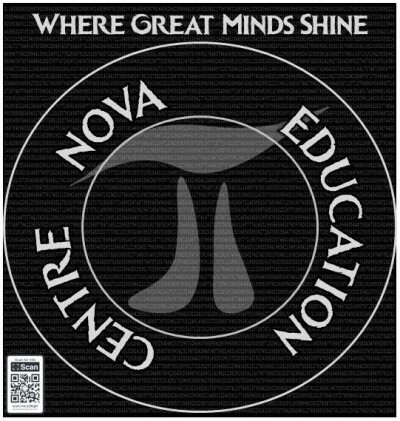 I truly believe that Nova Education Centre is a means of ensuring an individual’s success. Mr. Partheeban is a teacher who is very different from the others. With him, I do not feel pressurized to live up to his expectations. His approach is very different from other teachers as he comes up with his own ways to simplify complex theories and makes it easier to understand them. His patience has never failed to stun me. Time and again, when I failed to understand complex theories, he never showed signs of repugnance. Instead, he patiently goes through them till I am able to comprehend them. Under his guidance in the last 2 years, not only have I cultivated an interest in Mathematics but I have also realised that anything is possible. His positive attitude towards my poor results has never failed to lift my spirits and this has allowed me to strive harder to produce better ones. He has made a connection with his student which has allowed both of us to engage in a friendlier manner and has allowed me to learn more in the process. His wealth of information, ideas and helpful tips has indeed been beneficial to me and has allowed me to become a better person in life. I am lucky enough to be mentored and encouraged by this wonderful teacher. Mr. Partheeban, who was recommended to me by a family friend, taught me English, Mathematics and Science since I was in Secondary 2. He taught me various methods and techniques to master subjects and under his guidance, I made a huge leap in my grades. I was able to comprehend more complex formulas with his systematic teaching methods and learned how to apply them in my daily schoolwork and even exams. His vast knowledge has been an encouragement for me to ask questions and he clarifies my doubts openly. He connects with his students in a very friendly and positive attitude. Without Mr. Partheeban I do not think I would have been able to successfully gain a place in a poly doing a subject of my choice. I was provided with an enriching experience under the tutelage of Mr. Partheeban, who tutored me for Additional Mathematics at Nova Education Centre. Initially, I always saw Math as a boring subject. However, Mr. Partheeban made Math concepts extremely easy to comprehend and once I understood these concepts, I began to find Math fun. He is a wonderful tutor who never hesitates to answer my questions. His explanations are crystal clear and I never had any doubts after asking him anything. He is a very positive and an extremely understanding person. Moreover, the atmosphere at the Centre is perfect; quiet and peaceful, the perfect environment to study. There is completely no pressure when doing practices. The environment there somehow made me enjoy Math for the first time.